Jorge Mateo collected three hits and scored three runs to lead the Nashville Sounds to a 5-1 win over the Memphis Redbirds in front of a sellout crowd of 11,282 Friday night at First Tennessee Park. The speedy shortstop delivered one of the highlights of the night when he tripled into the right-center gap in the second inning. Mateo's triple was his 16th of the season - a single-season franchise record. Nashville built an early lead thanks to Anthony Garcia's 24th home run of the season. The slugger came to the plate with two on and one out in the bottom of the first and launched a three-run blast to give the Sounds a 3-0 lead. Garcia's homer scored Mateo and Franklin Barreto after their respective singles started the rally. The early run support was more than enough for a host of Nashville pitchers. Chris Bassitt started the game and went one inning before turning it over to the bullpen. Aiden McIntyre took over and threw four shutout innings in his Sounds and Triple-A debut and earned the win. Mateo's triple sparked another rally for Nashville in the second. Boog Powell followed with a run-scoring single to give the Sounds a 4-0 lead. It stayed that way until Redbirds right fielder Alex Mejia drilled a solo homer in the top of the seventh to make it a 4-1 game. Nashville got the run right back in the home half of the inning. Mateo's third hit of the night was a single to right-center. He promptly stole second base and scored on a base hit by Franklin Barreto that gave the Sounds a 5-1 lead. Right-hander Daniel Martinez made his Sounds and Triple-A debut and tossed three innings before Josh Lucas entered for the ninth and put up a zero to lock in the win. Game two of the four-game series is scheduled for Saturday night at First Tennessee Park. Right-hander Raul Alcantara (5-6, 5.17) starts for Nashville against right-hander Adam Wainwright (0-0, 0.00) for the Redbirds. First pitch is scheduled for 7:05 p.m.
- With tonight's 5-1 win, the Sounds improved to 71-66 on the season. - Tonight's attendance of 11,282 is the 19th sellout of the season and the 74th all-time at First Tennessee Park. 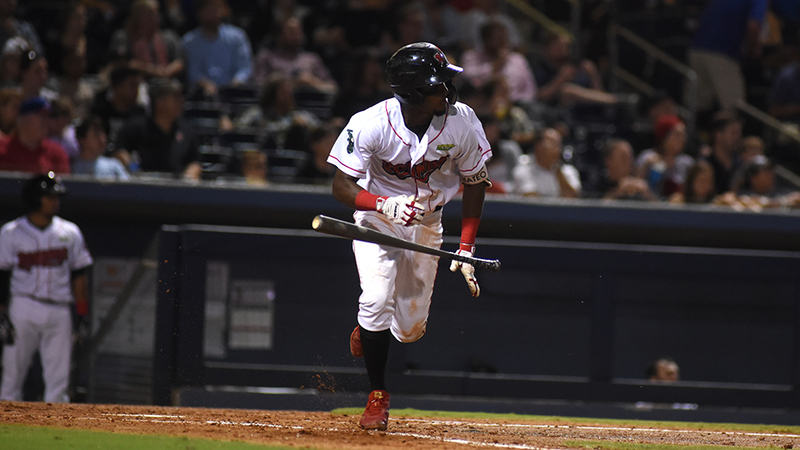 - Jorge Mateo's second-inning triple was his 16th of the season - a Nashville Sounds single-season franchise record. - Mateo went 3-for-4 with 3 runs scored, 1 triple and 1 stolen base. It was his fifth three-hit game of the year and 25th multi-hit game. - Right-hander Aiden McIntyre earned the win in his Triple-A debut (4.0 IP, 2 H, 0 R, 1 BB, 3 K).